We’d love your help. 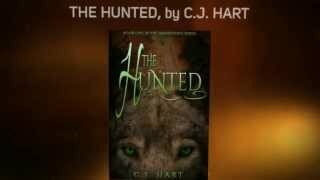 Let us know what’s wrong with this preview of The Hunted by C.J. Hart. The Native American Navajo tribe has stories of a monster so wicked, so blood-thirsty, that they are to be hunted down and slaughtered. But are they just legends? Or is something sinister lurking in the shadows? The Yee Naaldlooshi—skinwalkers—have the ability to transform themselves. And they can be anyone. Anything Just your average boy-meets-girl, boy-kills-people story. To ask other readers questions about The Hunted, please sign up. The book starts out pretty great. It was captivating and I was quickly pulled into its world. I absorbed the first chapter, because it was hard to put down. And then everything changed. There is just so much contradiction regarding skinwalkers that I couldn't keep up with what was going on. How can someone who is terrified of them at the beginning, blow them off like they're nothing over and over again? There's more along those lines, but I'm not getting into spoiler territory. There are a couple moments of redemption, but they're quickly over. I really wanted to like this one, and I tried. But there's just too much about it that took me out of the story and frustrated me. In this story we have a young guy named Seb who is a shifter. The tribe he is from has many varied shifters from Puma's to Wolves and more. Although called skinwalkers as they are a navajo tribe. There are hunters who do not want these beasts within their towns and homelands. Cassie is a human who has been raised by her dad after the death of her mom. She has a pull towards Seb and she is not sure why. Although they know they should not be friends or anything else. These 2 young people are drawn to each other. But when humans start to go missing of course its the tribe of shifters who are taking the fall or are they? Seb is Alpha of his pack but that will not stop them from wanting to kill Cassie. Can he save her from his own kind? Why is Cassie's dad in on this? And just who is Marcus really? The story was well written, very detailed, we have action as well as heart. Really good book for young adults or even us older adults. The book does leave us with a big cliffhanger so I can't wait already for the next one. Seb and Cass felt the pull the minute they met, but what will happen when his pack and her father find out? This story makes you feel like you are part of the action almost. I really enjoyed it. This book will pull the young reader in right from the beginning. It's full of mystery, suspense and love. For me being an "older" woman, I actually really enjoyed this read and will be waiting for more. You can find this review and more like it on my blog, Declarations of a Fangirl. The Hunted was a great, quick read. It read like most YA novels, quick and full of delightfully snarky and corny wit. I really enjoyed the joking back and forth and mushy talk between Seb and Cass. Sometimes it seemed a little too sweet, like give-me-a-cavity sweet, but on the other hand, it fit the story. I spent at least half the time looking like thi You can find this review and more like it on my blog, Declarations of a Fangirl. The Hunted was a great, quick read. It read like most YA novels, quick and full of delightfully snarky and corny wit. I really enjoyed the joking back and forth and mushy talk between Seb and Cass. Sometimes it seemed a little too sweet, like give-me-a-cavity sweet, but on the other hand, it fit the story. I spent at least half the time looking like this while reading. They were seriously adorable. And let's stop for a moment and appreciate the wonder that is Seb. 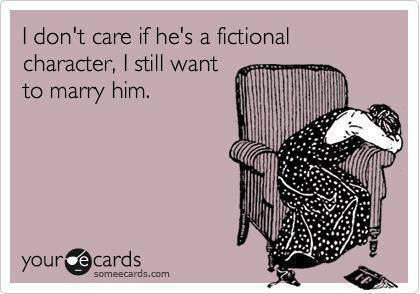 He is the epitome of book boyfriends. Now, I will admit, there is a wicked case of insta-love. So beware if that's something that bothers you. I'm a helpless romantic so I didn't mind one bit. I dream of being with you forever, no matter the struggle or consequence. Her brow puckers. I'd hate to be forced to choose between my family and you." "I already have. I chose you." I was really intrigued by the skinwalker mythology. I wish that part of the story was fleshed out more and hopefully there will be more about it in the next book. They sound absolutely terrifying. "They're nasty, dangerous creatures. Born from witchcraft and raised as pure evil. They'll stalk you and taunt you. Then, when you're alone, they'll rip you to shreds." I can't wait to read book 2!!! I recieved a free copy of this title in exchange for my honest review. Star-crossed teenage lovers - one is the daughter of a Hunter, the other is a shapeshifting wolf-boy. Both are members of tribes that pass this legacy through their male descendants. First of all - why male? It's never explained. The only way that females can become shapeshifters is if they are bitten. But why can't the hunters been girls? This is never really explored, and it bothered me throughout the book - but not as much a I recieved a free copy of this title in exchange for my honest review. First of all - why male? It's never explained. The only way that females can become shapeshifters is if they are bitten. But why can't the hunters been girls? This is never really explored, and it bothered me throughout the book - but not as much as the shallow, whirlwind, soul-mate romance of these two kids. That part is very Romeo and Juliet, but still - this is supposed to be contemporary paranormal. The slapdash nature of them seeing each other and immediately being head-over-heels, disregard everything else ever for the sake of this person I barely know did not feel authentic - ESPECIALLY when focusing on the girl. Bad role model there - sane people don't fall in love with creepy wolves that stalk them and peep on them through their bedroom window. The balance between the Impending Doom and the everyday Yay We're In Love bits seemed off as well. If an entire gang of shapeshifters is ready to eat you or worse...are you really going to go dinner and a movie? By and far the most jarring thing for me was the occasional British-ism dropped in by either Cassie or her father. Nowhere does it say they are from England. They're living in Arizona. I just... no. So many nos. It doesn't make the writing more original or well-crafted. It just rings as off. I just finished reading this book, and I have to say that when I started reading this book, for a moment I felt like if I was reading TWILIGHT. I was so close about not finishing reading the book, but I gave it a chance, and I'm so glad that I did, I love the characters, I just don't like the ending cause now I have to wait for the second book. I'm going to keep this short since I don't want to give anything away. This is the st I was provided a copy of the book by the Author for an honest review. This is the story of Cass and Seb, Cass is a high school student, while Seb is a shifter he turns into a wolf, when Cass was just a little girl her mother die, and her father took care of her, she grow up hearing story about the skin walker, and she did not believe to much into the story, but all that change when she saw Seb for the first time, she saw him as a wolf, but once she saw him as a human she couldn't stay away, Seb felt for her since the first time that he met her, he knew that his life and his way where gone change, that's when they started to spend more time together their world turned upside down. I really love the way how Cass and Sen are with each other, love their attitude. I received my copy of The Hunted several weeks before it was released, and I was amazed. I got my copy that had was not perfect and even with the few mistakes that I found, it did not take from the story. The Hunted is a YA paranormal. It is about humans that shift into animals such as wolves or cats. But this has an American Indian twist to it, which made it even better. I love the stories from the Navajo Indians. Cassie is an ordinary teenager living in a small town in Arizona. She goes to high school, has decent grades and is just a typical teenager. Seb is the same age as Cassie and is everything but ordinary. He can turn into a wolf. Seb comes across Cassie one night while out hunting. He knows that stories that have surrounded his people forever. Seb is not like the pack. He doesn't enjoy killing and Cassie gives him one more reason to prove that the Yee Naaldlooshi (skinwalkers) can be like just everyone else. To his amazement, he falls in love with Cassie. Seb and Cassie's relationship already has the typical teenage problems, but when the pack and Cassie's people start hunting them it takes the teenage relationship to another level. First, let me say that I loved the cover for this book. It was a great representation of what the book would be about. Today, the cover can lure you in and drop you down a rabbit's hole. The author has a simple writing style that was easy to follow. I felt the characters in general were developed well. The main character, While I loved the main love interest, Seb, I found myself pulled from the story itself on many occasions. I think at times the pacing threw me off – either the story moved to fast and didn’t give me time to catch up with what was going on or exist in the moment with the character or there were scenes that lead to nowhere. There were scenes that did nothing to advance the plot and actually proved to frustrate me a little. The love story is nice – though. And Seb is a sweetheart. So the big question is, would I recommend this book? I would. Just because it wasn’t my favorite book, I could see how others might like it. And I might just pick up the sequel myself because I’m all kinds of nosy and I want to know what happens. My main interest in this book was the Native American legend of Skinwalkers. I was interested in seeing this author's interpretation of the legend. I feel that the author was able to stick true to culture and still expand the story to interest all readers. The love story has a West Side Story feel, without all the singing. =) Cassie and Seb are from opposite sides, yet they fall in love. With mounting drama and fear of a fallout with the families, they stay strong and show that their bond can no My main interest in this book was the Native American legend of Skinwalkers. I was interested in seeing this author's interpretation of the legend. I feel that the author was able to stick true to culture and still expand the story to interest all readers. The love story has a West Side Story feel, without all the singing. =) Cassie and Seb are from opposite sides, yet they fall in love. With mounting drama and fear of a fallout with the families, they stay strong and show that their bond can not be broken. The author did a fantastic job in creating a YA story that is appealing to any age group. Without relying on copious amounts of violence and foul language, Hart is able to create a story that has solid and wonderfully written. This is a book that is a must read, even for those who have never read shifter books before. The author did a great job and i look forward to more work from her. Seb is a shifter. The tribe he is from are full of shifters - and they change into various animals. Cassie is a human. Raised to not believe the stories about the nearby tribe, she has only ever heard rumors. Until one day when she sees a wolf near her house with mint green eyes. Days later, she meets a boy. Unable to deny her attraction to him, she begins to get to know him better. The catch? He also has mint green eyes. Feuding tribe members, pesky humans and persistent h Such a wonderful story!! Feuding tribe members, pesky humans and persistent hunters, Cassie and Seb wonder if their relationship is worth persuing, though neither can stay away from the other. When people start disappearing, Cassie and Seb begin to look at reasons, and it might not be personal against them, but they may be the pawns. Tear jerker, intense, and dramatic with a bit of love and romance in the mix. The author pulled me in with the 1st gut reaching chapter. Chapter two kind of had me feeling like I just jumped stories and took me a little to get over the 1st chapter and wrap my head around what all was going on in the following chapters. Once I did I was interested to see how it would all play out. This book leaves you on a huge clif hanger and definitely has me curious as to what will happen next. I give this boo Tear jerker, intense, and dramatic with a bit of love and romance in the mix. I give this book 3.5 stars. It pulled me in but at times I felt as if there was to much information in some parts and not enough in others. Still It was a good read and unique so I would recommend it to readers who enjoy Ya paranormal. I enjoyed this book and was very interested in the dynamics between Cass and Seb. Cass is a senior in high school when she meets Seb, a skinwalker. Their relationship and even love are forbidden with his people being monsters in every aspect and her family being monster Hunters. This was a quick read because I could not put it down. This is a fantastic book. I loved reading it and I look forward to the next book in the series. I absolutely loved this book!! What a great story!! Seb and Cass are amazing!! I loved all of the characters. I felt like I was there!! Perfect!! And I can't wait for more from this Author!! The main reason for my 3 starts is that I am not really into the 2 POV in the same book, I find this book jumped a little to much for my liking but I did read it to the end. The story line is good and I think if it was written in 1 POV or 3rd Party it may have read better. The story is YA and as such someone of that age may like it written the way it was. The Native American Navajo tribe has stories of a monster so wicked, so blood-thirsty The main reason for my 3 starts is that I am not really into the 2 POV in the same book, I find this book jumped a little to much for my liking but I did read it to the end. The story line is good and I think if it was written in 1 POV or 3rd Party it may have read better. The story is YA and as such someone of that age may like it written the way it was. Legends from the (Native American) Navajo Tribe tell of evil blood-thirsty monsters, the Yee Naaldlooshi Skinwalkers. They have the ability to transform into anything they want to be. A group of trackers known as "The Hunters" are on the prowl to destroy the Skinwalkers. Seb is the alpha of the Taylor (Arizona reservation pack). He starts to have doubts about his pack and breaks a rule. He has fallen for a human girl, Cassie, and soon he is faced with having to kill her. But will love prevail? Or will he comply with his packs orders. Seb is very likable and not like the rest of his group. Cassie, young and in love would do anything for Seb. Soon Cassie is faced with choices; to follow her Fathers rules, or stay with the boy she loves. I love, love, love C.J. Hart's writing. I mean it. You're drawn in from the start and there's nothing that can get you back out again. Before you know it you walk among wolves, ravens and hunters, not sure where you wanna belong. I totally claim Seb as my own (I don't care what you say, Miss Hart) and can only tell you to read this story. 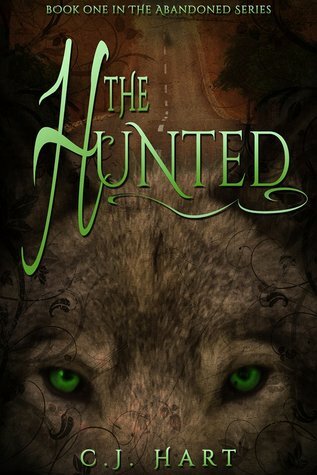 A new clean YA paranormal romance featuring shifters, “The Hunted” features a mix of romance, suspense, drama, and psychotic villains. Read full review in the 2016 February issue of InD'tale Magazine. C.J. Hart is a full-time writer who lives in Sydney, Australia, with a crazy pooch named Abbey and a boisterous, somersaulting rescue budgie named Kaleb. Her days are spent living in her fictional worlds and consuming way too much caffeine. She has an (unhealthy?) obsession with all things cupcake- and coffee-related plus Kerouac and YA dystopia/fantasy books. C.J. can often be found surrounded by C.J. Hart is a full-time writer who lives in Sydney, Australia, with a crazy pooch named Abbey and a boisterous, somersaulting rescue budgie named Kaleb. Her days are spent living in her fictional worlds and consuming way too much caffeine. She has an (unhealthy?) obsession with all things cupcake- and coffee-related plus Kerouac and YA dystopia/fantasy books. C.J. can often be found surrounded by books, marathoning crime shows and munching on vegan goodies, on Twitter, Pinterest, or dancing in a rainstorm. C.J. Hart is a pen name for Renée Shearer, who also writes adult fiction as Renée Swann. Follow her on Twitter, Facebook as C.J Hart, Pinterest, Instagram, Tumblr. Visit her website. Check out her adult books.